214 pp. Nearly new, no markings or creases. 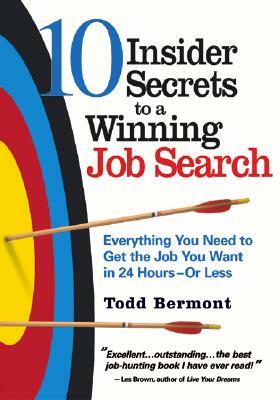 A readable comprehensive guide to getting a job -- covering all the basics, such as self-assessment, narrowing the job search, networking, creating a powerful resume, interview tips, strategies for dealing with tough questions, "closing the deal" etc. Cover blurb states "Everything you need to get the job you want in 24 hours or less." Keywords: BUSINESS. EMPLOYMENT. JOB. JOB SEARCH. CAREER. RESUME. INTERVIEW. PERSONNEL.